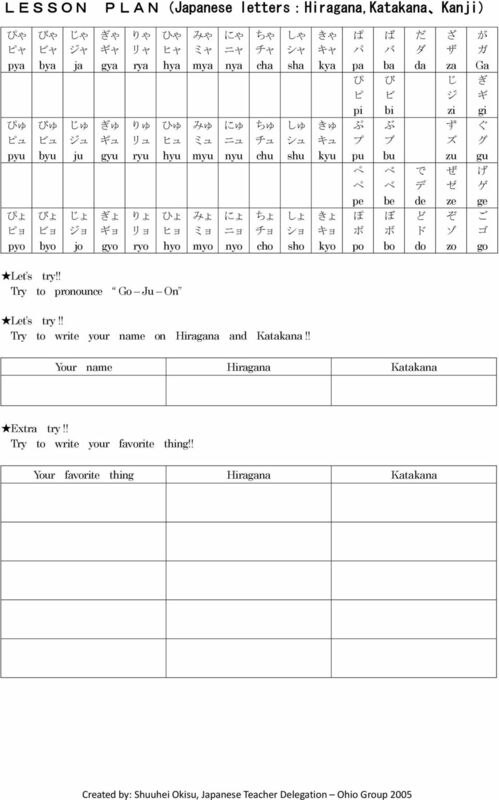 Download "Microsoft Word - okisu-japanese-characters.doc"
5 JAPANESE WRITINGS Hiragana, Katakana, kanji Kanji( 漢 字 ) Kanji are symbols representing objects or ideas. There are tens of thousands. Most Japanese students must learn about 2000 by the time they graduate. That is about 200 every year. Let s see if you can remember any by the end of this class. Ⅰ bet you can. You sure look smart. 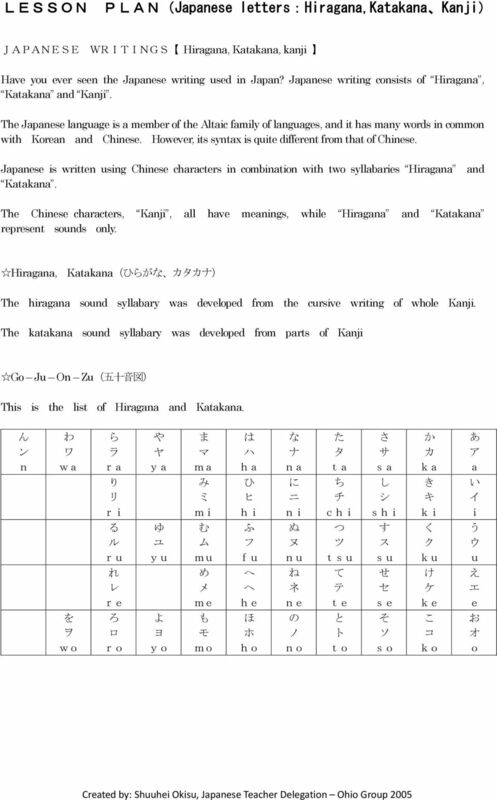 How kanji are combined to make words. 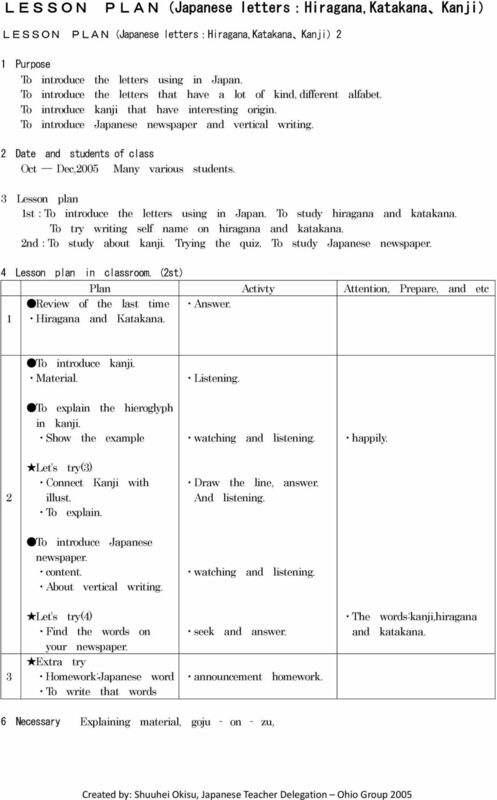 How some simple kanji representing objects developed. Does this look like a sun? Well, it used to look like a sun and gradually it changed over time. Here s how it used to look. Let s try!! Which illustration did you connect? 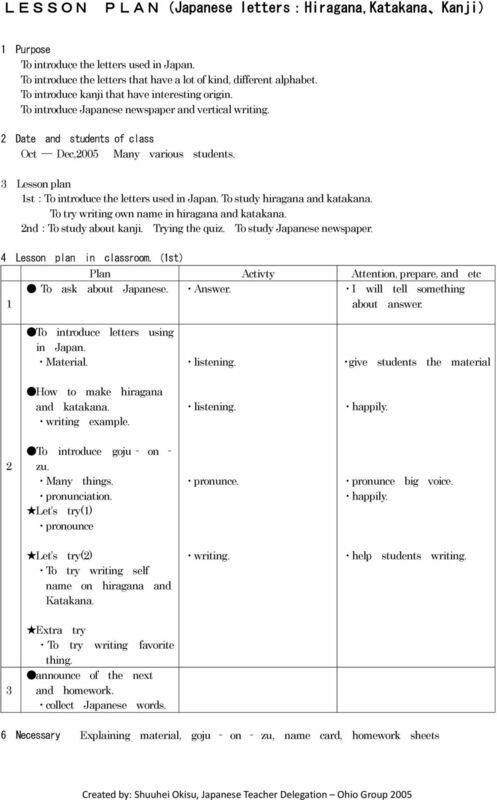 6 Japanese newspaper(vertical writing) Japanese language is usually vertical writing. 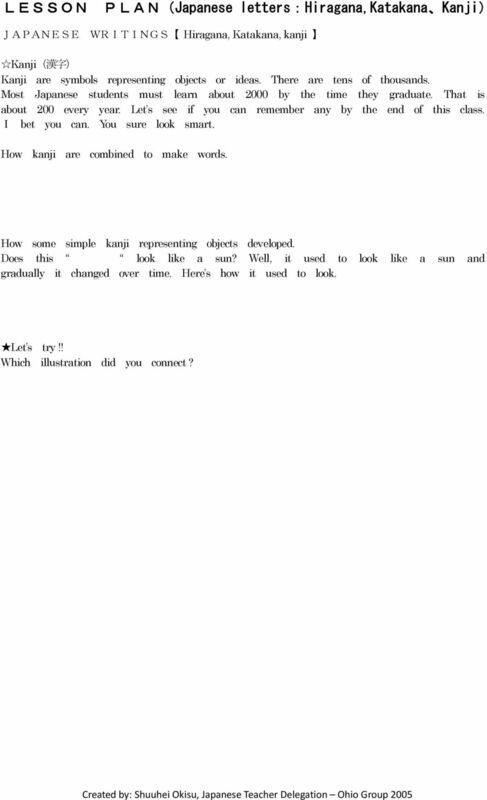 It has laterally writing. This is Japanese newspaper. It has local news page, sports page, TV page, etc as American newspaper. Let s try!! 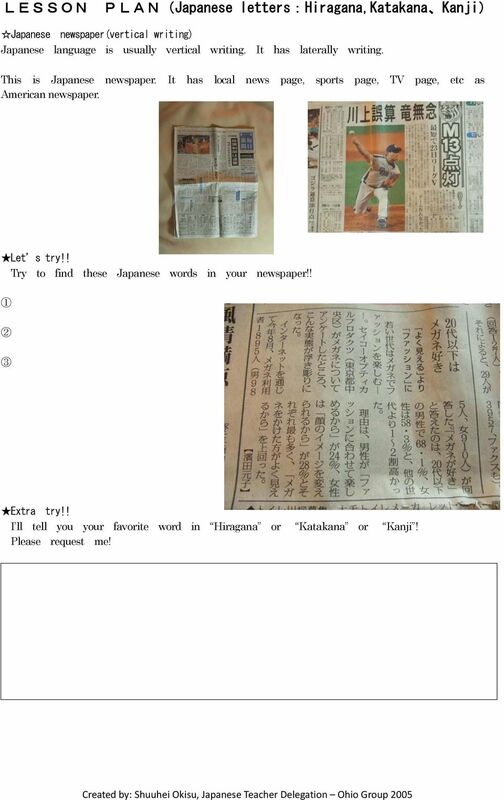 Try to find these Japanese words in your newspaper!! Extra try!! I ll tell you your favorite word in Hiragana or Katakana or Kanji! Please request me!